As you know, I am a super big fan of yoga and of yoga apparel. You may also know that I love to support a good cause, because it's charitable people that really do help the world go 'round. 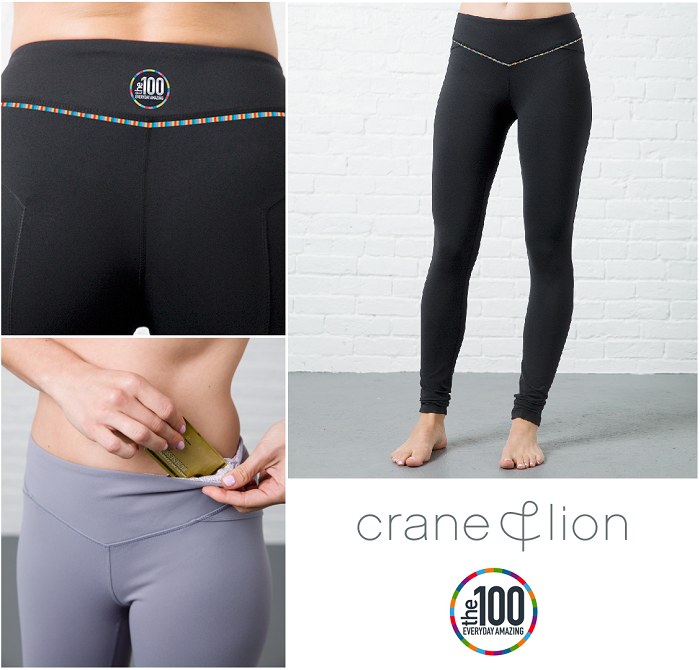 When I was at the Crane and Lion event last month, I was introduced to a pair of yoga/fitness tights where the entire proceeds from the sale go directly to the One Hundred and Mass General Cancer Center....the one hundred was created and is supported by the Mass General Cancer Center to raise awareness in the fight against cancer. From purchases of this pant, 100% of the proceeds are donated back to the one hundred. Talk about a treating yourself with some major added benefits. As you may recall from my previous blog post, the C&L apparel quality is spot on so if you are looking to purchase a new pair or fitness leggings, please consider the MGH Cancer Tights because you'll feel good wearing them, literally and figuratively! You can find Crane and Lion on Facebook, Twitter and Instagram. Interested in learning more about the one hundred and their efforts? Find them online and Facebook, Twitter and Instagram!